It’s official: Huddersfield Grammar School now has the top performing Independent Prep School across Kirklees and Calderdale! 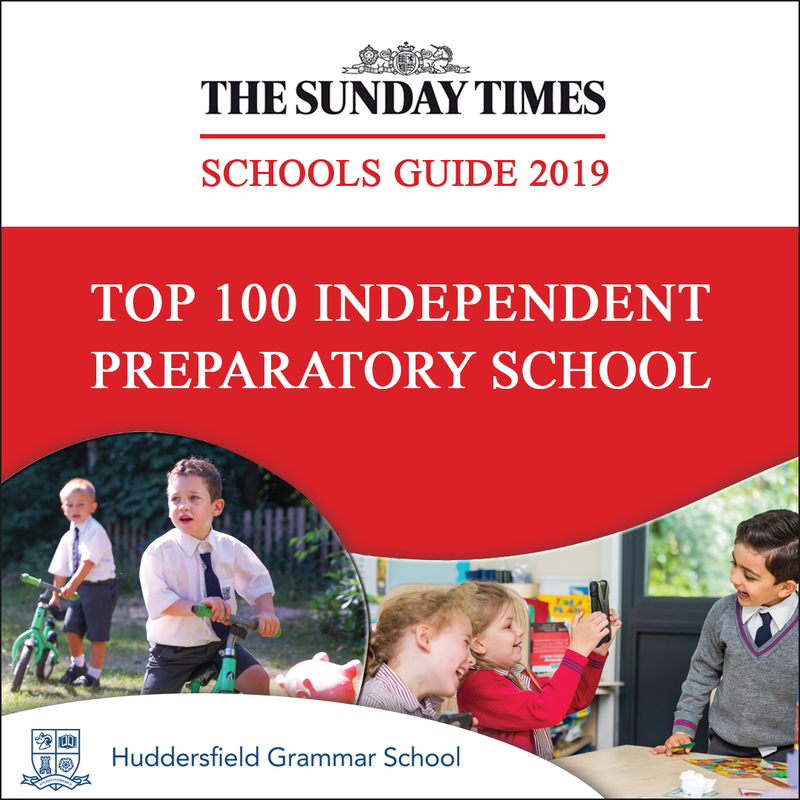 It is the only school in the vicinity to be ranked amongst the Top 100 Prep Schools nationwide (83rd) in the 2019 Sunday Times Parent Power Guide, and also features in the Top 3 Prep Schools across all of Yorkshire. The Headmaster, Mr Seaton, comments: “This is a superb accolade for our pupils and staff, in what is the first ever appearance in this much-coveted Top 100 for Huddersfield Grammar School. All at HGS send our congratulations to fellow Yorkshire-based schools Mylnhurst Prep, in Sheffield, and Lady Lane Park School, in Bingley, which also featured in this year’s Sunday Times Top 100 rankings.